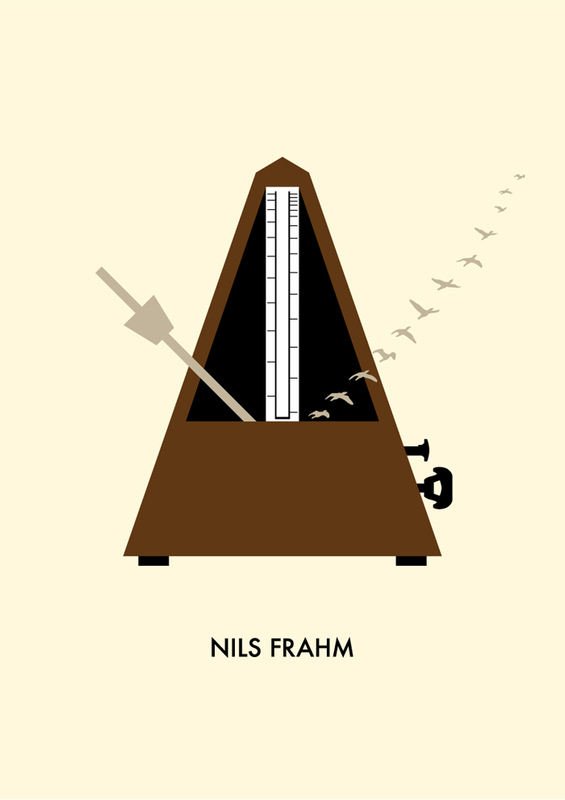 I first heard the music of Nils Frahm sometime during 2010. Even though the precise time is unclear; the source of this special musical discovery remains entrusted in my memory. Portland, Oregon’s Peter Broderick helped craft Nils’ solo album ‘The Bells’ – a spellbinding collection of recordings that served my starting point to the vital works of the gifted German composer – and it was through Peter that stunningly beautiful sonic creations such as ‘Said and Done’ and ‘Small Me’ came into my life. The pair rented a beautiful, old church in Berlin for two nights which would provide the magical setting for ‘The Bells’ (an album originally recorded as ‘Solo Piano Series – Vol. 2’ for Kning Disk, Sweden and later released by Erased Tapes in 2009). On the liner notes, Peter recounts first listening to Frahm’s piano recordings: “It was absolutely breathtaking…I remember thinking to myself as I lay there stunned, that I could spend ten years trying to write an amazing piece of piano music, and still it would never be half as good as these improvisations.” Tracks such as ‘Said And Done’ and ‘Over There, It’s Raining’ would later be captured live and documented on 2013’s utterly transcendent full-length release, ‘Spaces’. The live recordings captured on ‘Spaces’ were culled from over thirty shows that feels closer to a vast treasure of field recordings from a future we have not yet arrived upon. The ‘Spaces’ tour has continued throughout 2014, playing sold-out venues across Europe, the U.S, Japan and Australia. 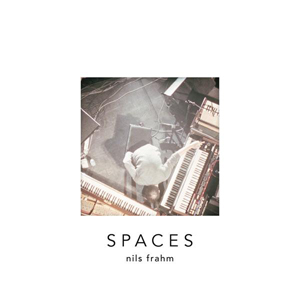 Listening to ‘Spaces’ or any array of Frahm’s singular works, the impossible becomes attainable as a deeply moving, cognitive experience unfolds between the remarkable artist and his awe-struck audience. For any artist, his or her personality can’t help but shine through on their resultant works (of art) and this is certainly the case for the Berlin-based composer. It’s the vast seas of sincerity, determination, curiosity, and enthusiasm that becomes immediately apparent when I’ve been fortunate enough to be in Nils’ company, with which ceaselessly radiates from the mesmerising waves of sound of the composer’s compelling compositions. I recall a sound-check in Dublin’s Unitarian church on an early winter’s evening in 2012. As the faded sun-light shone through the glass windows, Nils raced up and down the narrow aisle, pin-pointing the tone and identifying the acoustics of the surrounding space as the glorious piano notes filled the sacred space. As I stood dumbfounded in the background, the piano’s unique tone and touch effectively traversed the human space that felt nothing short of staggering. I feel this very same reaction when the vinyl of ‘Felt’ or ‘Screws’ comes on: the sound waves inscribed in the grooves of these records (or any of Frahm’s works) truly heightens all that surrounds you. New tracks have been performed live throughout the year, including the monumental tour-de-force, ‘All Melody/#2’ which feels like the natural progression (and a distant companion) to the similarly captivating ‘Says’. The transcendent opus sees Frahm continue to push the sonic envelope as new and exciting possibilities of sound is forged. ‘All Melody’ is based on a gorgeous ambient synth loop that gradually fades in and out of focus. Moments later, electronic glitches and percussive tones of the piano serves the perfect counterpoint. It’s the sum of these parts that form a deeply affecting spectrum of human emotion through sound. As Nils mentioned in a previous interview, his ongoing mission to “translate music into psychology” is reaching new heights. The unreleased track ‘#2’ is closer to the ‘Juno’ synthesizer-based works where anything feels possible. The wide dynamic range makes for an astonishing experience as the crescendo of towering synthesizer harmonies ascend like ripples of ocean waves. Gentle and heartfelt pulses permeate throughout the softer sections resulting in a soulful and deeply human exploration in electronic sound. The electronic-oriented sounds brings the German sound sculptor closer to fellow-luminaries, Jon Hopkins and Clark et al, as a resolutely unique path is forged. As the striking narrative continues, the spirit of invention forever lies at the heart of Frahm’s indispensable art. What comes next is a prospect to savour with each anticipated breath of air. Hi Nils, it’s great to talk to you again. 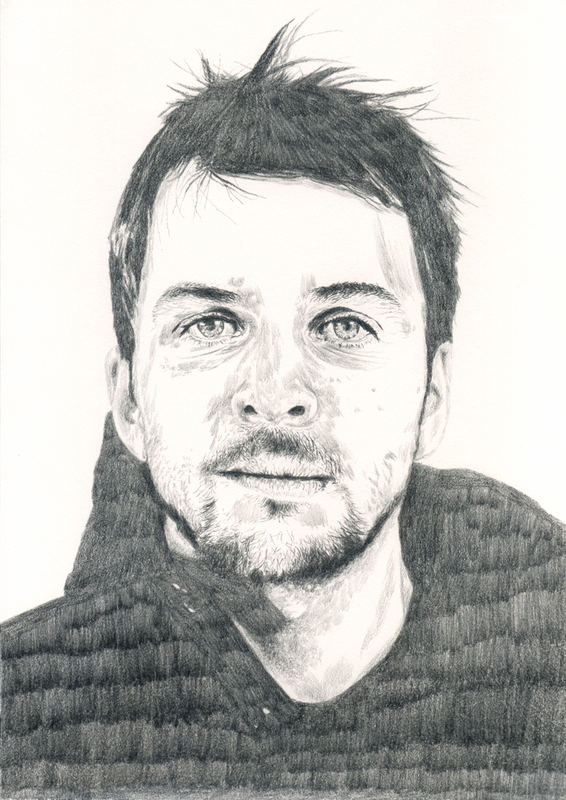 Nils Frahm: It’s my pleasure. How has the tour been going for you? NF: It’s been really fantastic. We just played the Barbican [last night], sold out and everything. Wow, it was absolutely gorgeous. I love the new music, Nils. ‘All Melody/#2’ is really amazing. NF: Thank you. I’m happy you like it. I love how you are always developing in the sense that the ‘All Melody’ track in particular, how there is this gorgeous ambient synth loop running throughout but then there is a contrast with the electronic elements and the piano that comes in later. It’s amazing how there are all these layers happening. NF: Cool, I’m happy you like it. I mean for people who only know my piano stuff and for the older people who like the ‘Wintermusik’ and things like that, it can be a little shocking but it’s so much fun I need to do something like that. I imagine too Nils in the way you’ve been touring so much this year – it’s obvious I suppose – but with the live performance; it must really filter into your writing when you’re recording your own music at home? NF: Yeah, exactly. At the moment I am going to the rehearsal room a lot and the rehearsal room looks a lot like a stage, basically and it’s really great to have the possibility to rehearse things before I go onstage. Earlier I just basically improvised more; now I’m taking the chance and all that to shape new ideas and maybe make the songs first and later go to record them, you know. Before I was always going to the studio and making a new track and then maybe playing it live. But now I’m not recording much of these new things because first I want to make good live versions so I can have something to develop on tour. Another cool thing too, your recent hometown show with Jon Hopkins. Even that in itself, you know in a way looking at your music, there are more parallels with someone like Jon Hopkins and all these producers in the sense of what you’re doing. As you say, if you only look at your solo piano, that’s only one aspect. NF: Exactly, exactly. This is so true. I like the more colour it gives me and that really drives my boat. The Una Corda which is the new instrument that has recently been unveiled, I can imagine for a musician it must be this whole new gateway in the sense that it is this new instrument for you. What is it like to be composing and performing on it? NF: I feel like I am a trained pianist but I also have so much expertise with studio work; there’s cables and there’s all these details of making electronics work as musical instruments and so I realize, actually I know my Juno synthesizer almost as good as I know the piano. I’ve had it since I was thirteen or fourteen, I used it for almost twenty years now. And it’s very intuitive for me; I can play in the dark, you know. I think it’s really nice to make use of that because not so many people really know how to use all these old and classic machines which sound so musically and all of them act like musical instruments because they have this soul, you know it’s not like a plug-in that is the same every night. They always feed back something into your performance which is so exciting; it’s like taming the beast. You got to be really fast and be trained and skilled to synchronize all these machines in a way, and you have to have the nerve to do that in front of two thousand people. I think that’s what impresses people also is that there’s a sense of intuition to it like the sense of, you have to set the delay to the tempo of the modulator at the beginning for maybe two or three things where you have to make times and then all the settings and remember all the knobs you have to change and there are no pre-sets – it’s not like you know the session and everything is set – but with the Juno synthesizer, you’ve got to do this, this, this, this… like fifteen, sixteen, seventeen little changes before the song is there. This is really thrilling you know, it’s so much fun and the rewarding bit of it when it all works, it sounds like real electronica; it sounds like something people don’t really hear so much these days. When they listen to electronic music it’s mostly coming from the computer or pre-recorded material; it can feel a little static at times. But when people watch the electronica I am doing, even if they’re not really super into the details of how it works, they understand what they hear is what I’m doing in the moment. There’s all this movement I’m doing and they’re totally connected with the sounds which happen so everybody understands, oh Nils live. People come and talk to me like, oh it’s like Jean Michelle Jarre or Tangerine Dream or Klaus Schulze because that was the last time when people really had to do it that way. They had to bring all these big crazy machines onstage and pray that they would work and I think you have the right to think that because it’s not really common anymore that people play analogue synthesizer onstage. I think that all analogue synthesizers; the sounds they produce are so nice that I want to explore it more and also use it as a contrast to the really quiet piano moments and have this bigger sound and alien kind of sounds and then contrast it with really mellow piano tones and all that. And it’s just becoming this wonderland of acoustics the show I am doing now and I’m so happy that people seem to just follow me; it’s like “Hey! That’s cool” and I’m really surprised that almost nobody complains about it, of course some people say, “Do like a nice solo piano record” and I will at some point. But now I think is the time to explore new territory and do something quite unique. And this is just the start of new concepts and new conceptions of what I could do as a performer. It’s more about exploring what is Nils like as a live performer and not what Nils as a pianist is or as a studio producer but what is my speciality just as a real-time performing artist. And the shows I have played so far, I’ve really got a lot of experience I have to say and I have developed enough skill apart from composing and practising piano and improvisation that it is another skill to be able to make a complicated show happen in different venues, night by night and always make it as good as the night before; you’ve just got to learn how it works and it’s a really exciting time. That sounds amazing. And it’s always about surprising yourself and I suppose this kind of approach you have; you keep on exploring new avenues. You said before how the music follows the story in the sense that you are always recording music but I wonder is the next narrative in the story so this whole concept of in the moment and live performance as opposed to, like you said with the studio? NF: Yeah, I thought about it and I thought well I would like to not record my next album so much in my comfortable studio where I have my coffee machine and all my stuff you know where I usually work, like on ‘Felt’ and ‘Screws’ and stuff. But to work in a rehearsal room with all the things connected like I have onstage. It’s basically ‘Spaces’ without the audience. So I’m like in this mad professor/scientific room where all the instruments are connected as I have them onstage, I would just play live performances with all the sequencers and synthesizers because I feel like this is the way how electronic music makes so much fun; it’s so much fun to play that way. It’s not so much fun to program the snare drum and fiddle with the mouse and move objects from left to right and then group something. It can get kind of boring and this is how I was working when I was younger but now I am working in this more like, everything together and togetherness and how all these could be one. It’s a really exciting limitation also. So I’m not using all these things, I’m processing and fiddling and all that. I think this is how a lot of bedroom producers work in electronic music but to just make it more like a performance and then there are all those little things that are not perfect but maybe they show some excitement or show some human touch in this electronic world and that I think is a good direction to explore. That sounds wonderful. And I think as you say, if electronic music works or is successful, it’s because you feel that human emotion or touch in the music and that’s very true on ‘Spaces’ or indeed any of your electronic music. NF: Exactly. And I felt like I was treating the piano at times like a synthesizer; I was processing the piano, I was hitting it like a drum machine, I was trying to treat the piano more like a synthesizer almost. Now, I’m playing the synthesizer almost like a piano. And I like this image that it’s basically the same curiosity that drives me which is just to explore interesting sounds or sounds which resonate and I think with the track ‘Says’ I started something with that song which now I have to start to tape. It was the first bite and now I’m starving for more. I’m curious what else can be achieved that way. ‘Says’ was basically a very simple idea based around an arpeggiator from a synthesizer – so minimal – and now it’s so natural to see what else is there if I would lift up that curtain more and more and see what is underneath. ‘Says’ really blows you away. Again it’s nearly like separate movements; it’s like one flow really and there are so many moments that happen within the piece. But another thing it’s amazing even listening to it now – and I’m sure it’s for you playing it too –you can always get something different or something new from the music each time you listen to it. NF: Yeah, that’s I think the wonderful aspect of having analogue equipment because the track ‘Says’ is basically a loop but it’s a real loop – it’s not like a loop in the computer that’s exactly the same over and over again – but it’s like slightly different because the delay that’s connected to it is wobbling a little bit, it’s imperfect and all of these changes throughout the song. And everything is done manually and every change in the song is done with your hands and nothing is done by machine. The sounds come from the machines but the controlling the machines is still with my hands and it’s only what I can do with my ten fingers so it’s kind of the same approach as playing the piano because the natural limit of the piano with ten fingers is that you can only do things with ten fingers. And this is kind of the same thing I apply to the treatment of electronic things. I think you said this before but it’s how you bend the possibilities of the instrument in the sense that is this unconventional way and how you are on your own path really. NF: Yes and for me it’s exciting to use generic machines – what I mean is that it’s nothing very special and it’s basically a very common instrument – so trying to find your own language by using very common tools is actually very liberating. And to kind of make them your own and not just use them for things you may not intended to but in a way that if you like, oh I made these things; I made them and I think this is a concept which could take me to interesting places. It was very exciting to read the news about your mobile pipe organ and that you’re designing and building it at the moment. That sounds very special. NF: It is, it is. I’m so curious and the pipe organ again is really like a very traditional instrument, it’s around for many many hundreds of years and I can’t wait to see what the organ could do when I control it. Just because it’s another interface – I know it’s a keyboard interfaced instrument – so I have the keyboard interface which I know but the sounds that come out of it is not a piano and basically I’m interested in different sounds so I’m excited to have the organ sound but controlled with my fingers. I don’t even know what exactly I should do with that but I will find out once it is done and I got pictures from the organ builder now and then and it’s progressing and I think that it will be done in January and then I can start composing and trying things and record some stuff. So I hope I will bring that thing on tour, it would be very exciting. It’s amazing too to see not only the quantity of projects you are doing but how varied they are and you have so many going on at the one time; it’s inspiring in itself. NF: Yeah it’s because I can do this for a living and my fans have enabled me to make music and when you can do it every day then the consequence is a lot of things happen. This is wonderful. It’s wonderful to think – and it’s something I only found out recently – how your father designed a lot of the covers for ECM records? NF: Yeah that’s true. He did that in the early 80’s. You’re obviously someone who started playing music so young, this idea of creating art and things must have been everywhere when you were growing up at home? NF: Yeah. For me it’s just like a path and it’s so long that I don’t know where it actually started. I think it was around all the time and will be also around for a long time and I am really curious what will happen in the next ten, twenty, thirty years, you know just thinking longer term and you possibly have so much time to explore these things. And so the future is very exciting and I am curious what will happen. It’s exciting to look ahead and as you say if ‘Says’ is like the starting point, it’s very exciting to see what will follow. NF: [laughs] Yeah for me too, for me too. You’re imagining certain things and in the end it will be replaced by the reality and this is the most fun thing about making records like imagining what they could be like and then in the end, see what they actually are like. So, this by itself is always thrilling. One last thing Nils, have you been listening to any good records lately? NF: I just bought the new Aphex Twin album which I think is fantastic and really exciting. And I bought the Simeon ten Holt record that’s just out on vinyl, called ‘Canto Ostinato’ and that’s a really special piece of music for me that I just re-discovered, it’s just wonderful.